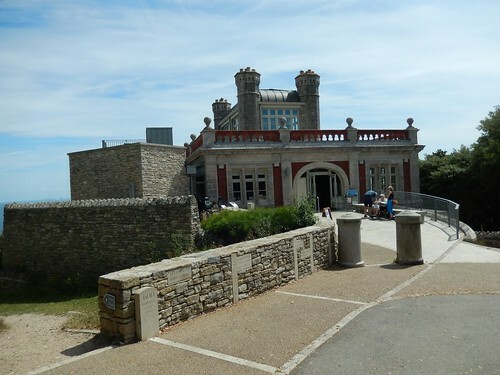 As I may have mentioned in my previous post; Durlston Castle is little more than a folly. While it stands high and mighty from certain angles, it is now best used as a place to stop for a slice of cake and a cup of tea. 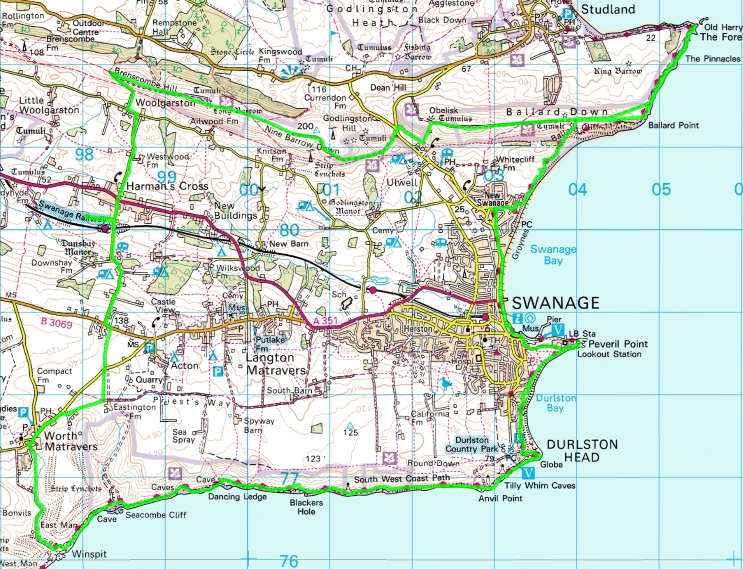 As enticing as that seemed though, I was still hoping to reach Swanage in time for lunch. 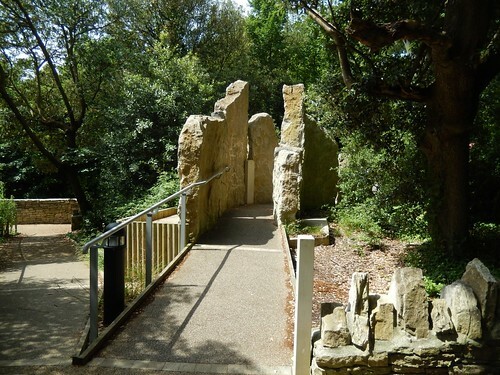 Turning north from the castle and along the official South West Coast Path; you head in to a stretch of woodland, soon on a descent but not before passing these large stones and bridges, laid out almost like a play area but I’m sure there’s a greater intent beyond that. 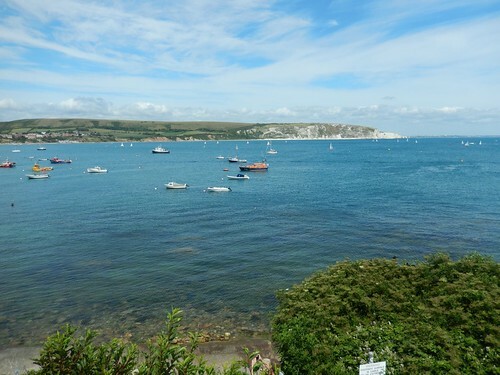 Ahead of Swanage Bay, there’s Peverill Point – but we’ll get to that in a moment. 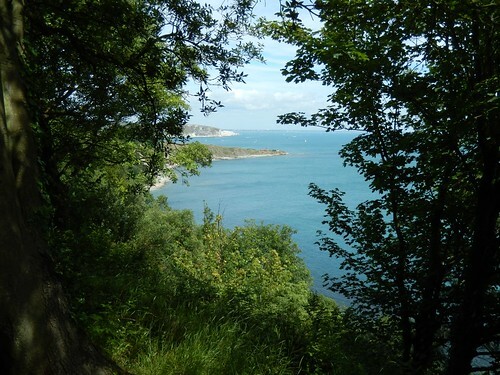 As I made my way down through these trees, giving way to a number of other (older) coastal walkers climbing in the opposite direction; one woman spotted my OS map and advised to take a detour from the SWCP ahead, which otherwise leads you up on to the road before then meandering out to the peninsula. 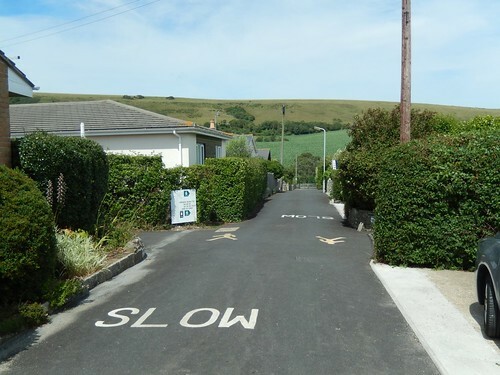 I was very grateful for this recommendation; turning right at the bottom, crossing a wooden footbridge, passing seaside flats to my left and then reaching tarmac only very briefly before a right-turn back on to the SWCP. 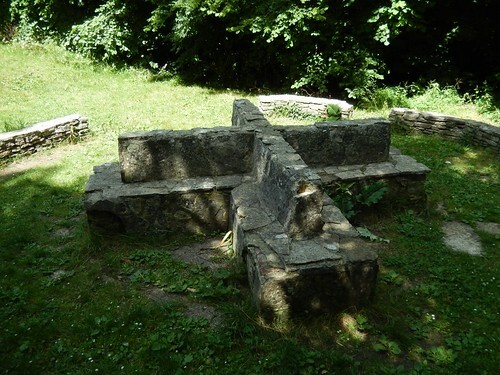 I don’t think I’d have seen the large stone cross (above) without her kindness and guidance. 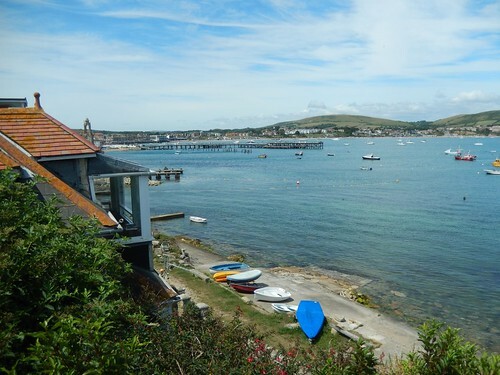 From here, you can get a pretty clear view of Swanage Bay, with the Purbeck Hills standing beyond. 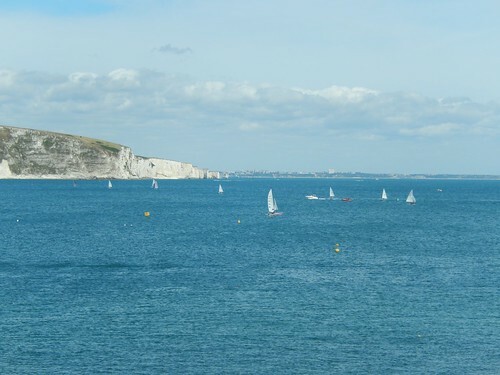 Some time after lunch, I’d be climbing the hills behind those white cliffs, over the heights of Ballard Point. My biggest surprise about Peverill Point was that there were houses quite close to its very end. 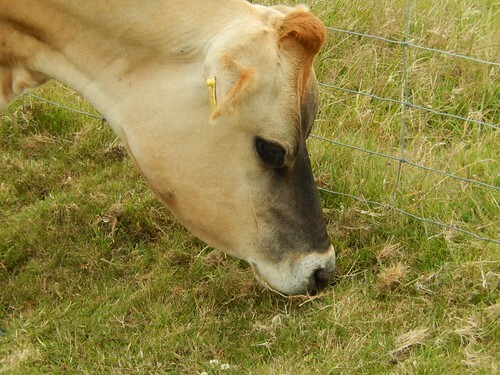 I’d not seen this at either Brean Down or Sand Point, close to home. I guess the land here is closer to sea level. At the very end, there’s a manned rescue centre setup to presumably ensure that no accidents take place along such a popular and touristic stretch of beach. If anyone was to drift away south of here, well, they’d be lost from the British Isles in a matter of minutes. 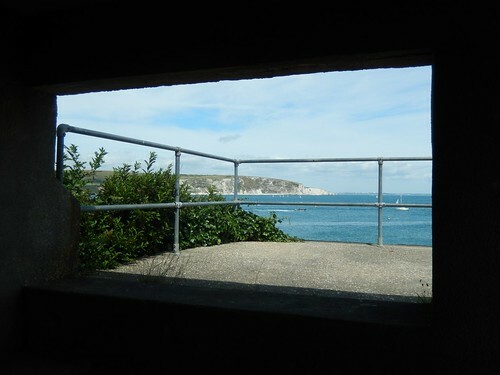 I also found an old fort of shelter, where the interior walls were plastered with information sheets on the local wildlife and history of how this area was affected during the Second World War. To the north of that was an alternative footpath that keeps you close to the water’s edge… But for the fact that it was closed as I passed (with a threat of a £1,000 fine for anyone daring to ignore the warning signs), I would’ve followed it back around to the SWCP. 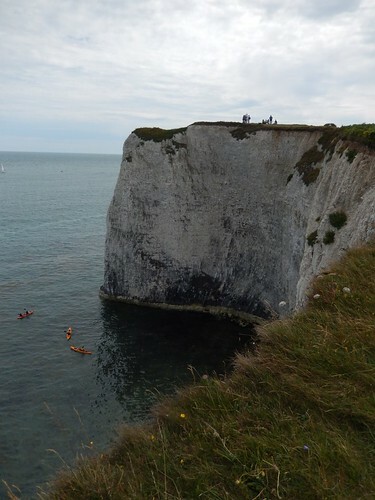 I think I read that it was currently deemed to be unsafe, so close to the cliff edge. 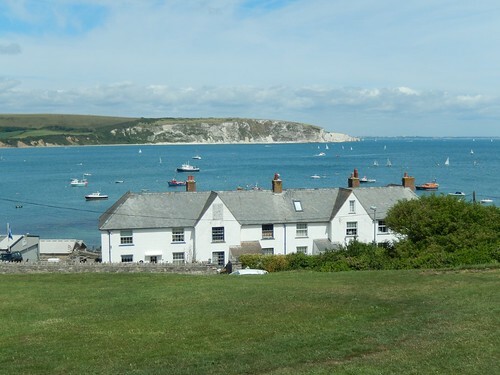 Although somewhat reluctant, I followed the coastal path along a road and in to the heart of Swanage. Need I remind you, it was a Saturday lunchtime, the sun was shining and, well, you can take a guess at how busy it was. It only took a couple of minutes, with hordes of people sat and passing everywhere, for me to decide that I would not fancy returning to such a busy and over-populated space. So, with fortune on my side, I found my way to The Fish Plaice, grabbed my cod and chips (ready in an instant but a little expensive, in my opinion, for just over £5 as a regular portion) and set off in search of a seat. Every bench nearby was already taken. 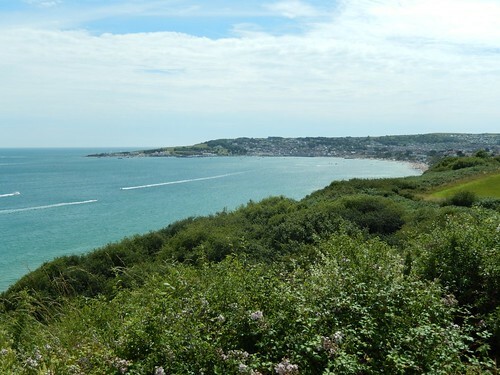 So, paper bag in hand, I continued up to the beach, passing at least one other chip shop on my way. There were people everywhere. Even though I decided not to, I probably could’ve stopped off much sooner than where I did end up. About halfway along the beach, I noticed a pier (not pictured clearly in any of my photos). Beyond the lone teenage boy taking an endless number of selfies on his phone was a set of benches. I could even see a vacancy! But as I moved closer, I noticed an old man who seemed to be hesitating… Right before he guaranteed the last seat. So, I made my way to the very end and perched myself back against some kind of monument of lamp in the centre of its tail. It wasn’t entirely comfortable but relatively quiet and undisturbed, as I fought against logic in an attempt to consume my takeaway meal using nothing more than a disposable wooden fork (I really should’ve packed my spork). Feeling full but no entirely refreshed, I continued in hope of a cool drink. Water loses its appeal on a sunny day when you pass a bustling beach! Instead, I came to an ice cream stand that clearly wasn’t designed for customers over 6ft tall, as I found myself hunched in to an uncomfortable form as I made my way on to the step to be served, while at the same time, being advised to mind my head! I’m 6ft1in and apparently still growing?! 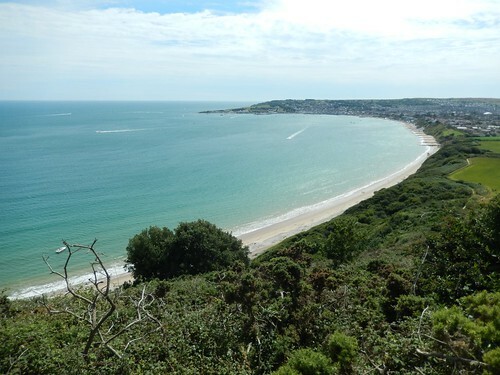 Leaving the beach to follow roads, I feared I’d lost the South West Coast Path at a left bend. It had been clearly signed on the previous road but there didn’t appear to be an indication to turn right… My map came to the rescue. Back alongside the coastline, I was almost ready to begin climbing up to Ballard Point, which would become my most challenging ascent of the day, without shadow of a doubt (and it had nothing to do with having a belly full of battered cod). 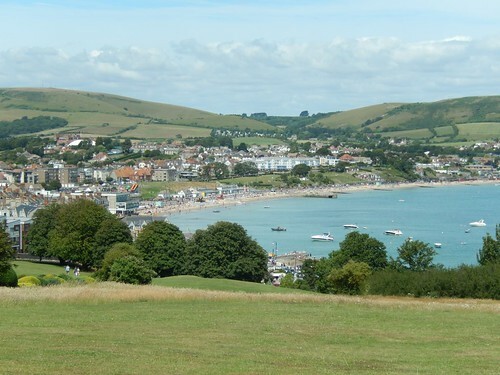 Swanage began to shrink in to the distance. I felt like I could breathe more easily from up here, in spite of the rapid pumping of blood to fuel my legs. 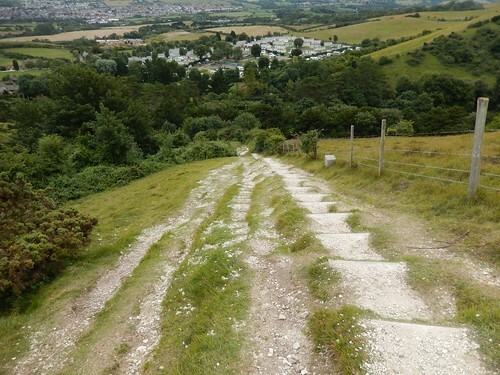 I knew I was walking very close to the Purbeck Way at this point but I must’ve missed a divide in the paths somewhere. 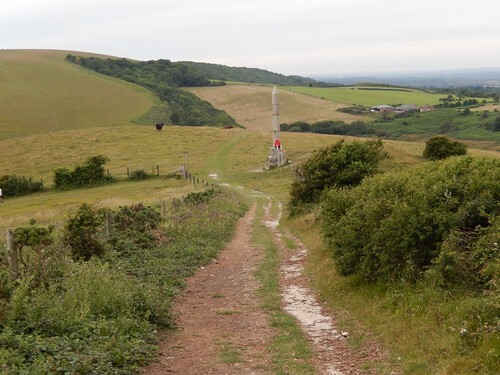 Reaching the trig point at the very top of the hill, I realised I’d again lost the official SWCP. 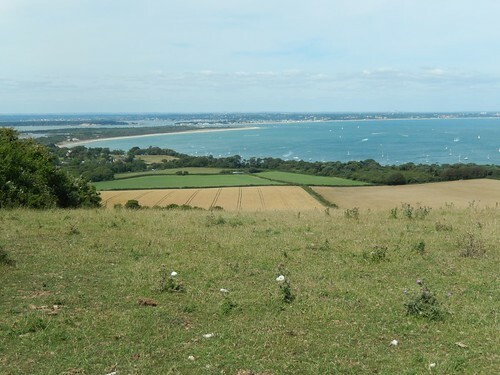 Fortunately, I wasn’t far off at all and as I rejoined my intended route, I could soon see Studland Bay with Brownsea Island to the north. 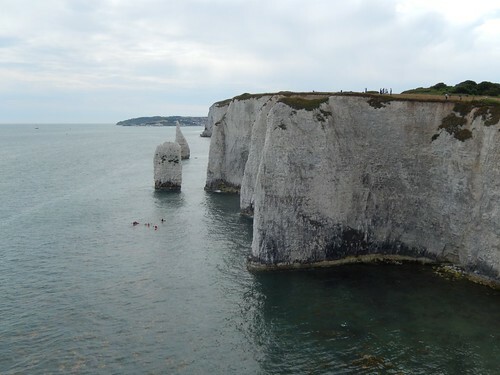 Old Harry and his Rocks were now only minutes away! 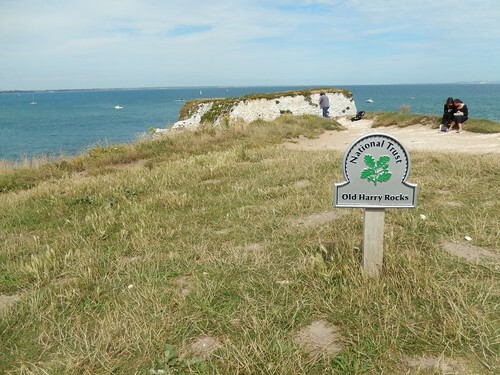 I read somewhere that this area was named after a pirate (Harry) who used to store his loot in and amongst the nooks and crannies down at sea level. 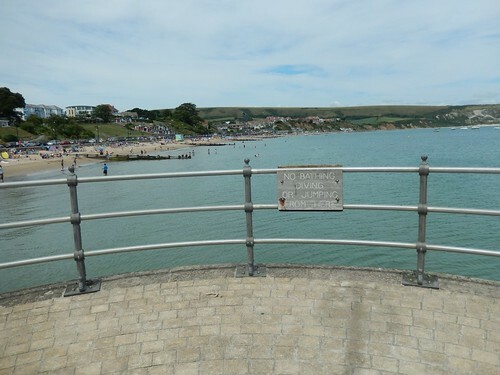 Aside from the beach and Swanage area in general, this was one of the busiest spots on the entire route. 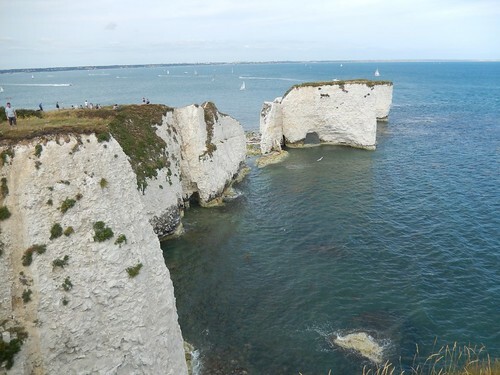 Most were flocking in from the west, along the northern edge of the cliffs from Studland. A number of ‘tourists’ were already present as I arrived. It was hard to spot another seasoned coastal walker. 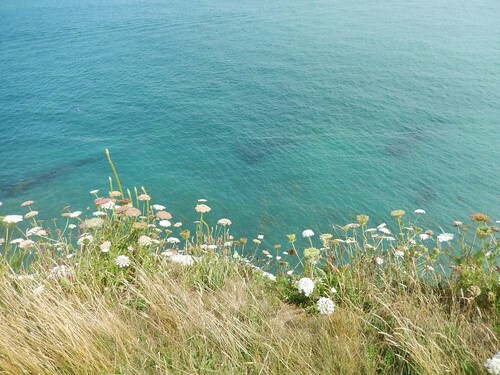 From here, the water was so blue, it was almost green to my eyes. 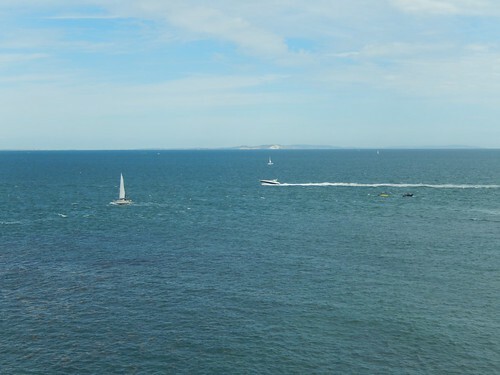 I noticed a number of speedboats jetting past at this point. I only wonder how these rocks appear from such a low vantage point. 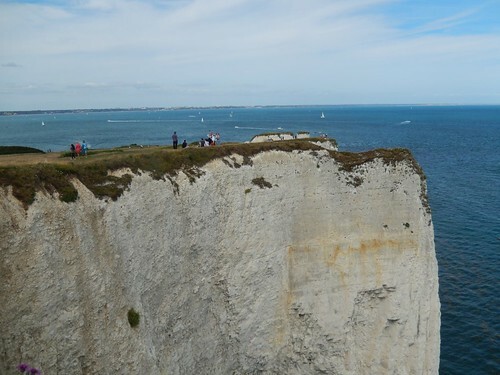 While these cliffs are worthy of anyone’s admiration, I’d strongly advise a sufferer of vertigo or someone with an aversion to heights to stay clear of the edge, as it there is only a vertical drop below. I’ve no idea how many accidents or falls may occur here each year. 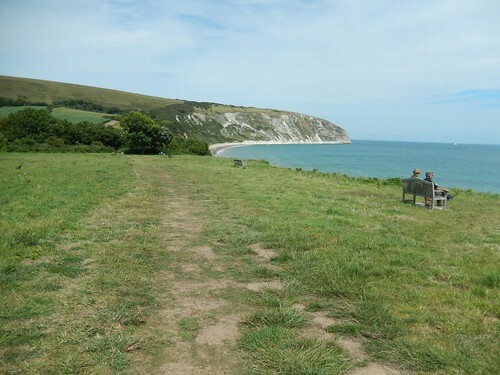 But, as a hotspot for tourism, I’m already surprised there isn’t some form of safety railing or fencing already in place, when it features at other points along the Jurassic Coast. I stopped here for a while, realising that I had reached ‘the end’ of my coastal stint for the day. 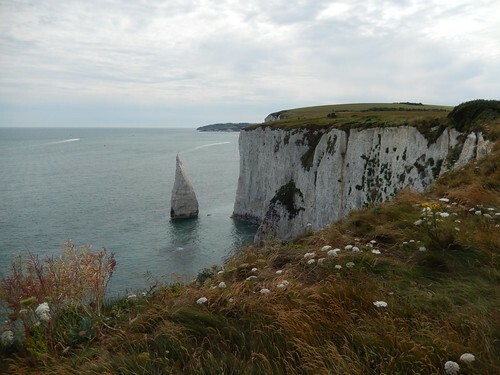 I managed to select a less clustered corner of the cliffs, which was only later disturbed by an irate photographer, continuously putting down his wife or partner with insults and criticisms were nothing short of verbal abuse. 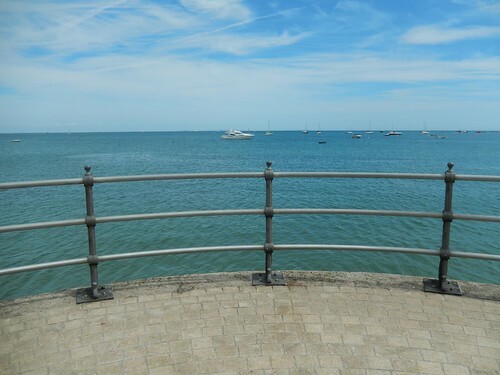 A thought entered my mind about standing up to challenge and question him… A lack of self-confidence, assertiveness and perhaps common sense convinced me to stay put and wait until they moved on. 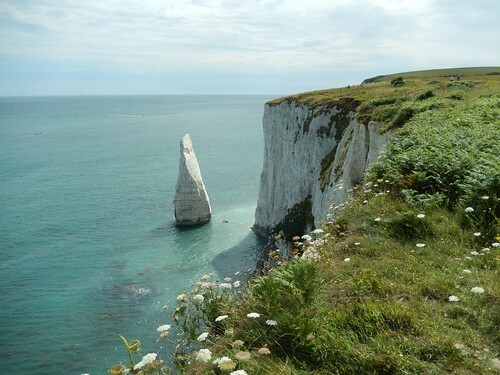 Here, I can’t have been more than four-miles away from the southern end/start point of the South West Coast Past. 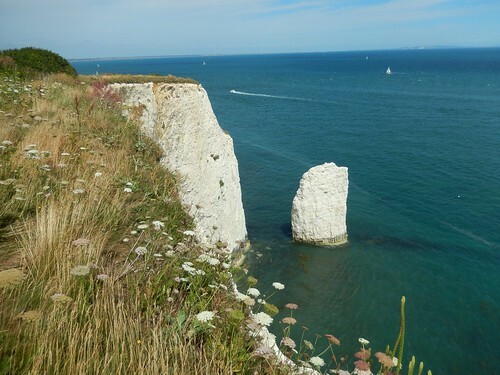 As I looked on again at what was probably the Isle of Wight, I knew that my only rational option at this time was to head back along the Purbecks. 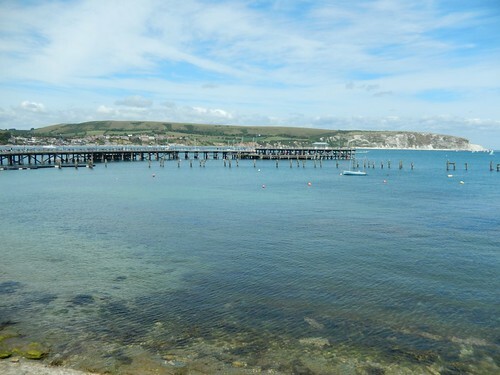 There was maybe just enough time to dart back down to Swanage and catch the train but it would’ve been the last train for the day (that would’ve been 16.40 – they do run much later in the August evenings). 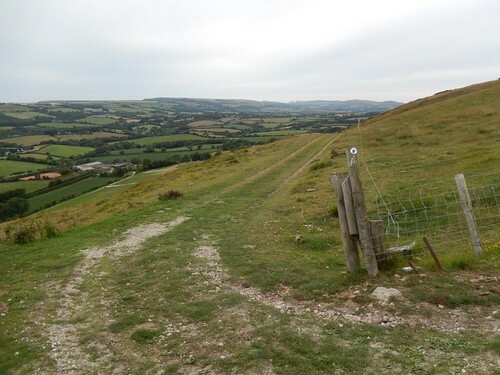 Returning uphill to the trig point, my journey ahead was clearly defined, along a 100m high ridge, heading west to Corfe Castle and beyond. 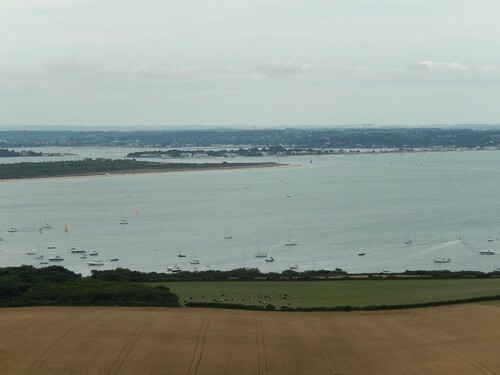 To my right, I could overlook Studland Bay with Brownsea Island inset from coast. Not only had the sun gone in to hiding but there were just too many buildings, too many signs of civilisation to tempt me any further north from here. 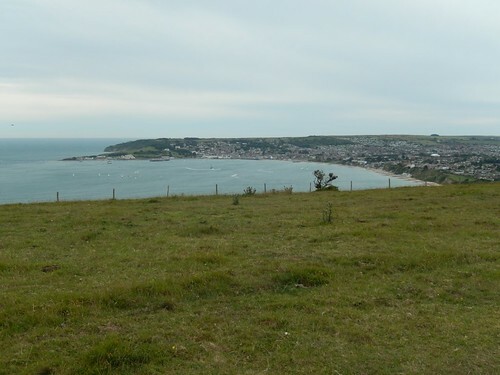 Swanage from up on the Purbeck Hills. 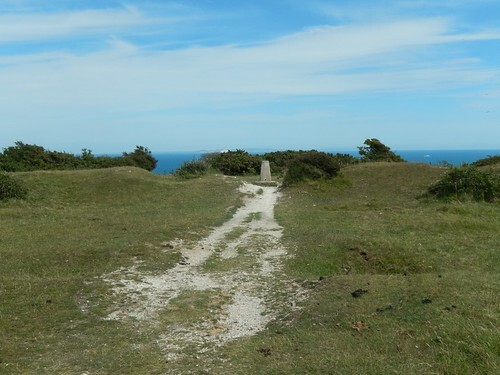 Once you’ve reached the peak of the Purbecks at this point, you cannot go much higher. 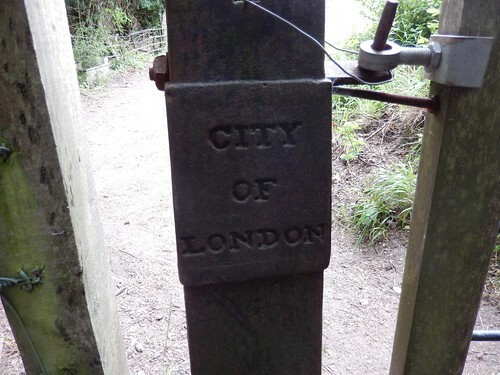 I closed in on this Obelisk (which is mentioned on the OS map) with the intent of taking a close look. But I could see a youngster singing and dancing quite wildly on its base… I kept my distance. 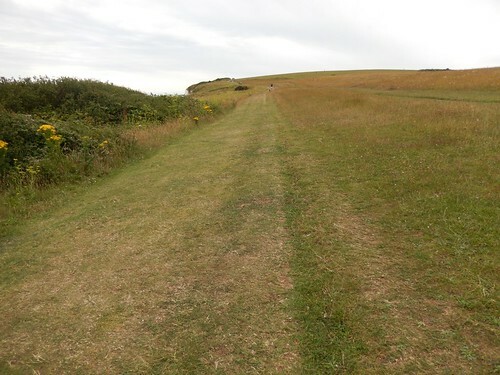 From here, my path turned left on a frightening descent of the hillside before a right turn would lead me to the road. I can’t imagine what it must be like to ascend those steps but my arm was crying out for a handrail at times. Passing through a metal gate, I noticed this engraving on one side. Without the means of teleportation, I can only assume this structure was re-homed at some point in its history. 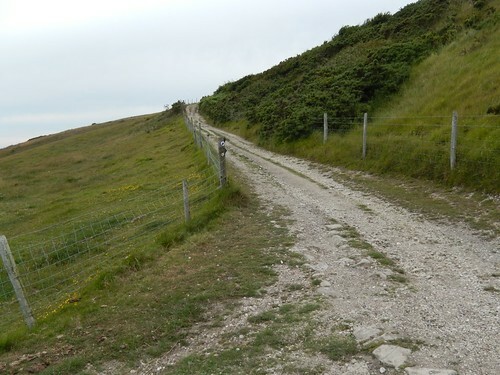 Crossing the road to continue along the Purbeck Way, I could see the other hill emerging on the other side. Fortunately, there’s not right of way leading straight up and you have to follow a path that initially contours its southern edge. That’s not to imply that it is an easy climb! 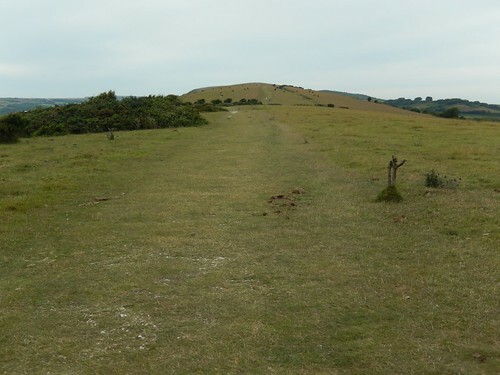 Having overtaken a number of people to get to this point, I can only recall passing two others (plus a dog) before reaching the next high point along the ridge. 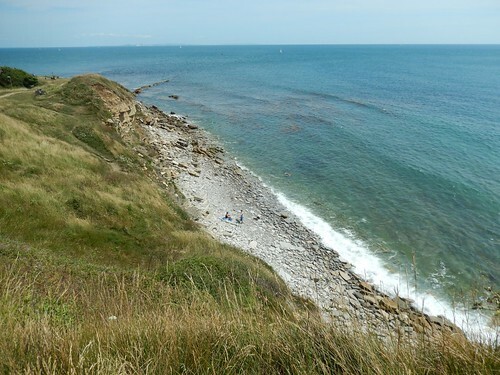 I hadn’t expected to see another soul, with all that’s to offer along the coastline but it looks as though these hills are frequently traversed. 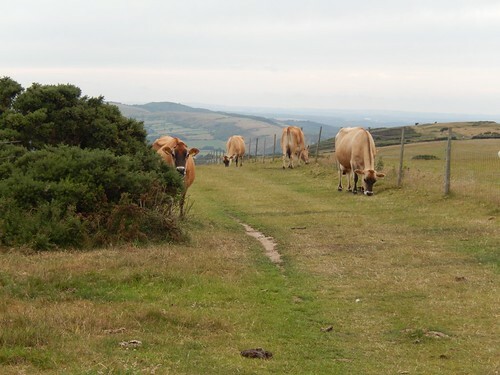 Then, I crossed paths with perhaps the most un-intimidating herd of cattle I’d come across. There was a certain appeal to their big wide eyes as well. 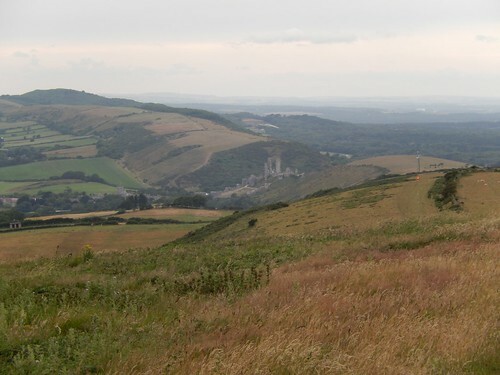 Passing a series of tumili and a long barrow at Ailwood Down and Corfe Castle came in to view. 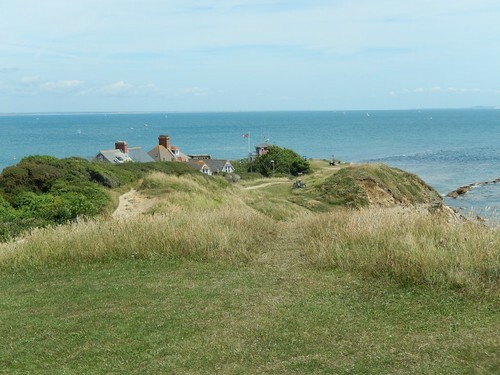 This was almost the point at which I would depart the Purbecks, which you can see continue beyond the ruined castle. Perhaps I’ll get to explore that section next summer! 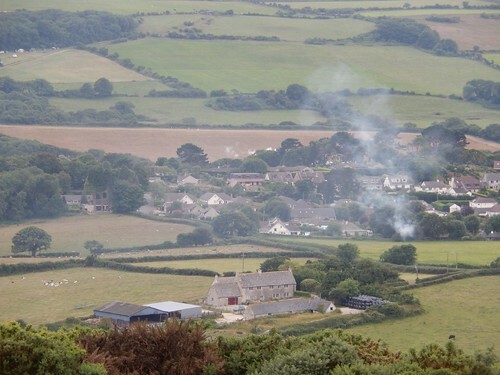 As I prepared for my descent, I heard how howl of the steam train – ignore the big cloud of smoke and you can just see its steam/vapour trail beyond trees in the dead-centre of the photo above. Somewhere, down below, was my camp site. 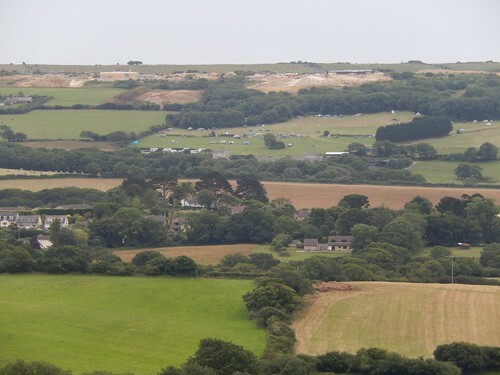 But Harman’s Cross is a popular area for camping and there must’ve been at least four within walking distance of the train station. Spotting mine was a near-impossibility from the north. You can see my blue car. 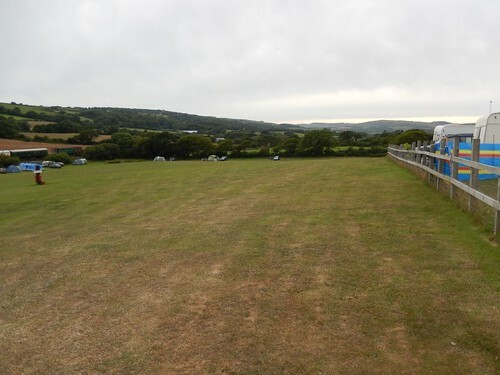 Left of that is my tiny two-man tent; overshadowed by just about every other pitch on the site. 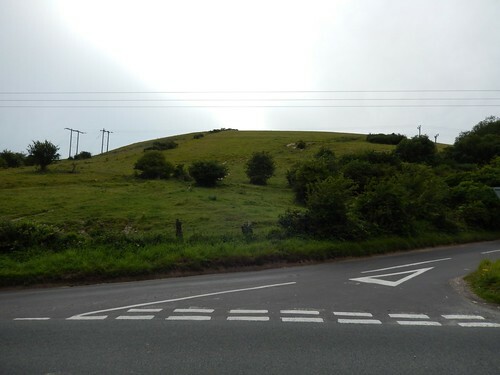 I followed roads and narrow country lanes on my way down through Woolgarston, before crossing the A351 and then returning to my tent, around 17.15. I couldn’t help but to check the bus timetable in any case and I think the last bus would only have been fifteen minutes away. 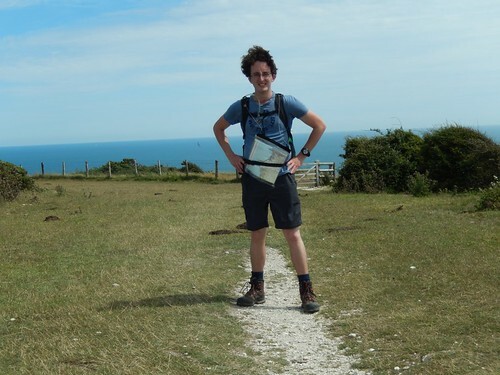 Heading back to my pitch, I bought a bottle of orange juice from the on-site shop which, I have to say, was very well stocked and the drink (although packaged for children) was certainly chilled to my liking, after nineteen-miles on two legs. Thanks for reading. 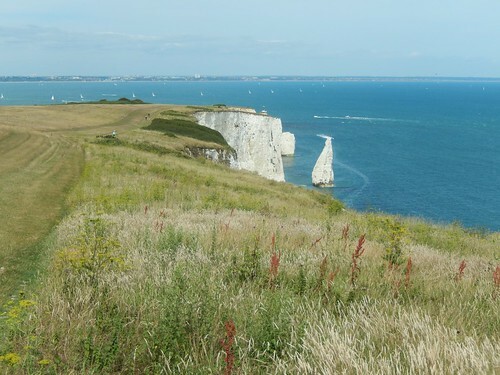 I look forward to future walks along the coast path in Dorset, even if it must wait for another year. 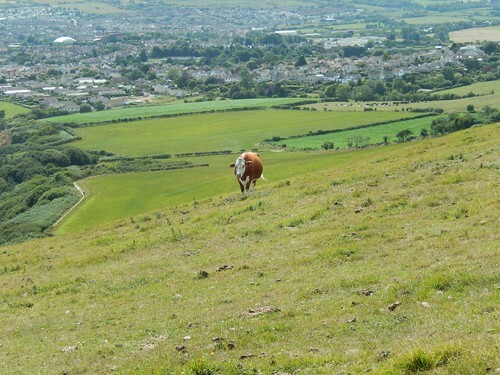 Soon than that though, I intend to start walking west from Minehead, before winter comes. To see my complete album of photos from this entire walk, please click here. 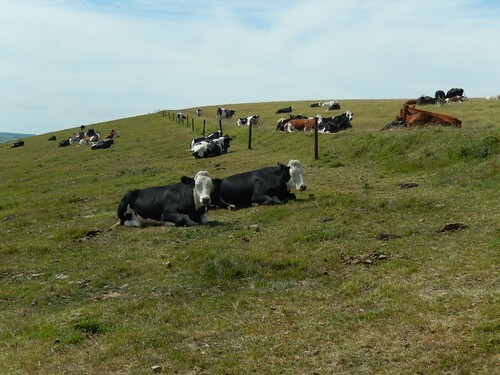 A screen-grab from Bing Maps. I didn’t realise you were doing one huge circular walk. That’s some distance! I stayed in Swannage for a few days but it was off season and fairly quiet. 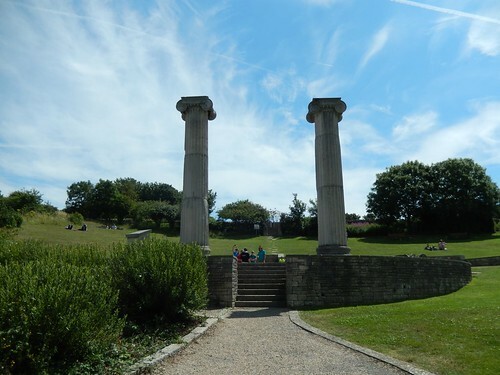 At Durlston Castle I remember there was a walkway which took you through the timeline of the Jurassic Coast. Hi Ruth, oh yes, that’s the way I tend to do things! 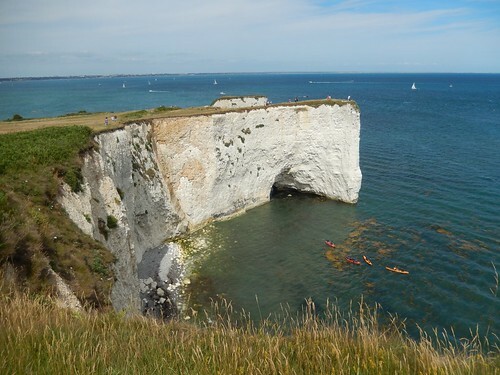 🙂 I’ll write about my final day in Dorset soon. Was that inside the castle? If so, I’m sorry that I missed it. There was plenty of information on the rear wall though. It was all quite fascinating and really put things in to perspective, I found.